The Cott is open from 12:00pm to 2:30 pm and from 6:00 pm to 9:30 pm, Monday to Saturday. On Sundays, the pub is open for food from 12:00 pm until 5:00 pm and from 6:00 pm until 9:00 pm. To book a table, simply choose a date and time and the number of people in your group. Times available will be displayed in blue. Select the time you want and click "Reserve Now", enter your details and your table is reserved! We encourage you to enter your email address, which will allow us to send you an automatic confirmation of your reservation. Please note your details are NEVER shared with any third party! If your preferred time is unavailable or if you have a party of more than 8, please call us directly on 01803 863777. We shall be delighted to assist you. We had a brilliant night here. A warm welcome and excellent knowledge of the menu from the person serving us. The food was full of flavours presented very well. 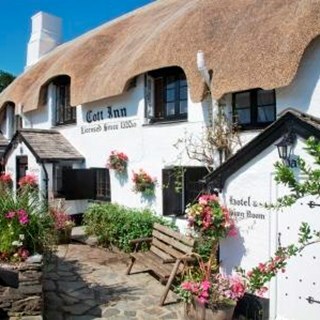 Fantastic food served promptly by pleasant staff in a lovely venue. Highly recommended. 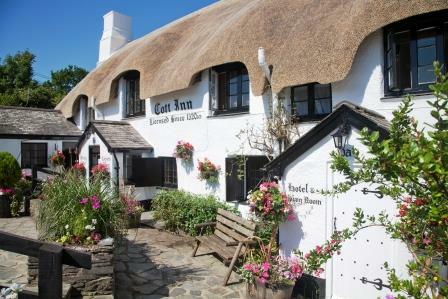 Always a warm friendly welcome at The Cott Inn.